For an adrenaline rush of romance, head to the Hotel Metropole Monte-Carlo. This glamorous 126-room property not only overlooks the most dangerous turn of the Grand Prix, Monaco’s famous Formula One auto race held every May, but it also offers a “Just for You” Golden Eye Experience that will leave you shaken and stirred. 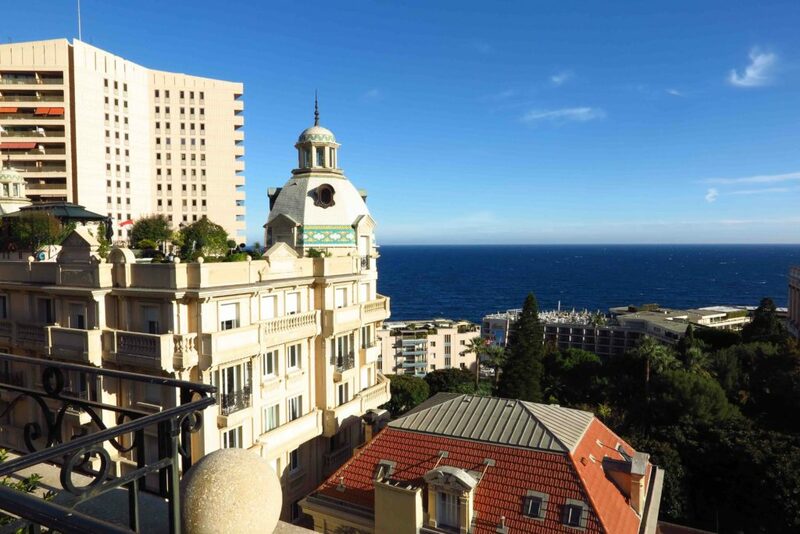 View of Monaco from the Suite Carre D’Or at the Hotel Metropole Monte-Carlo. © Amy Laughinghouse. This exhilarating adventure, worthy of the world’s sexiest superspy and his favorite Bond babe, includes a helicopter flight, a ride in an Aston Martin, driving tour of the French Riviera, lunch at Yoshi (Joël Robuchon’s Michelin-starred Japanese restaurant), in-room duo massage, vodka martini aperitif, and dinner on the terrace of the Suite Carre d’Or with 180-degree views of the skyline. Deluxe Junior Suite. Courtesy Hotel Metropole Monte Carlo. 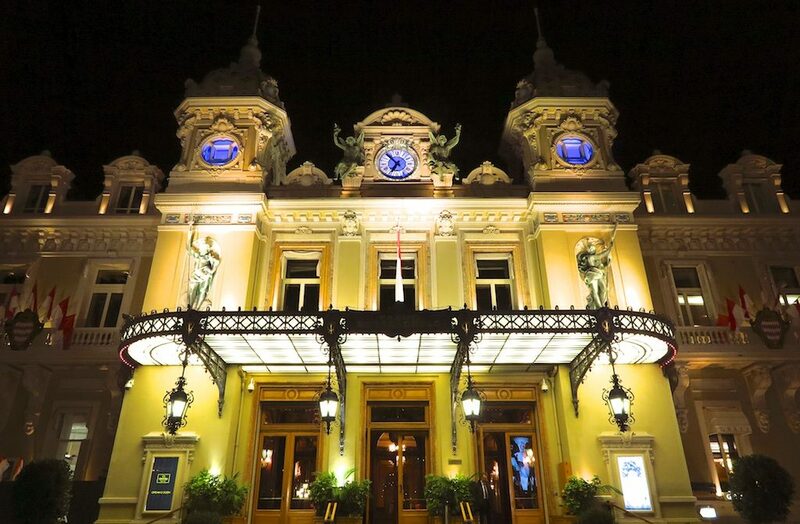 You’ll also receive a private tour of the Monte-Carlo Casino and chips and cigars for a night of gambling with Lady Luck—or at least, with one lucky lady—by your side. 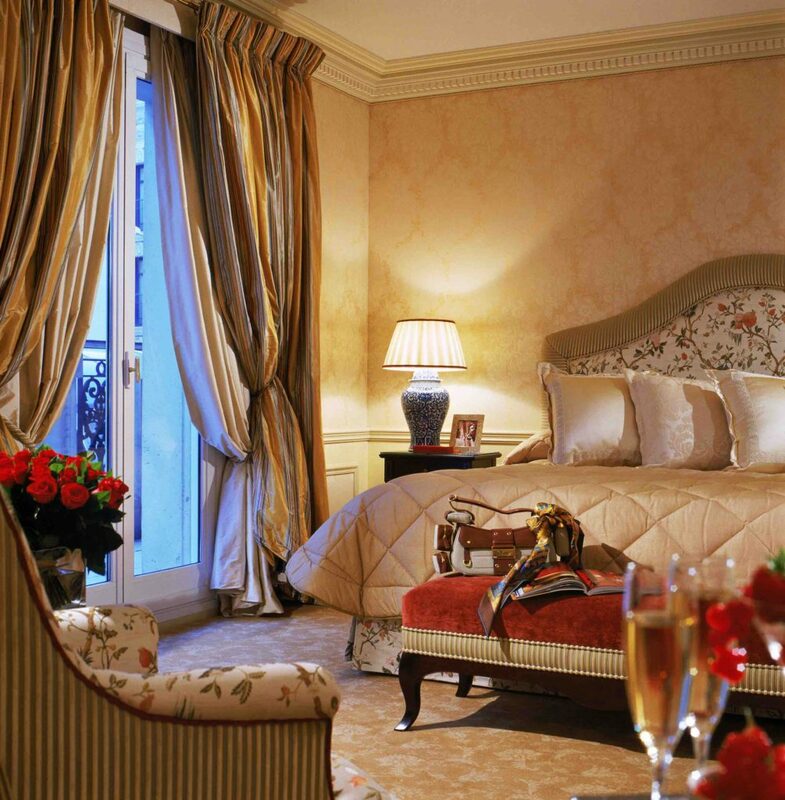 Afterwards, adjourn to your deluxe junior suite adorned with rose petals. Monte-Carlo Casino by night. © Amy Laughinghouse. Additional enticements at the hotel include a Givenchy spa, the two Michelin-starred Joël Robuchon Monte-Carlo restaurant and a va-va-voom pool and garden designed by Karl Lagerfeld. 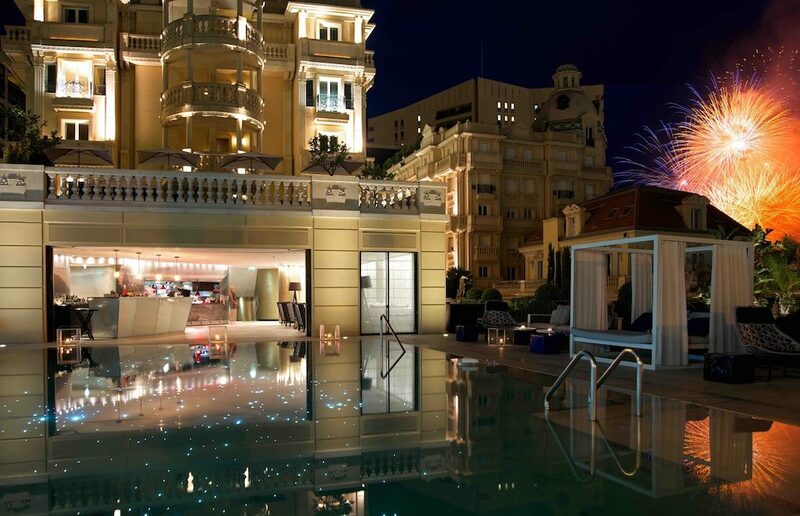 Fireworks light up the night at the Hotel Metropole Monte-Carlo. Courtesy Hotel Metropole Monte-Carlo. 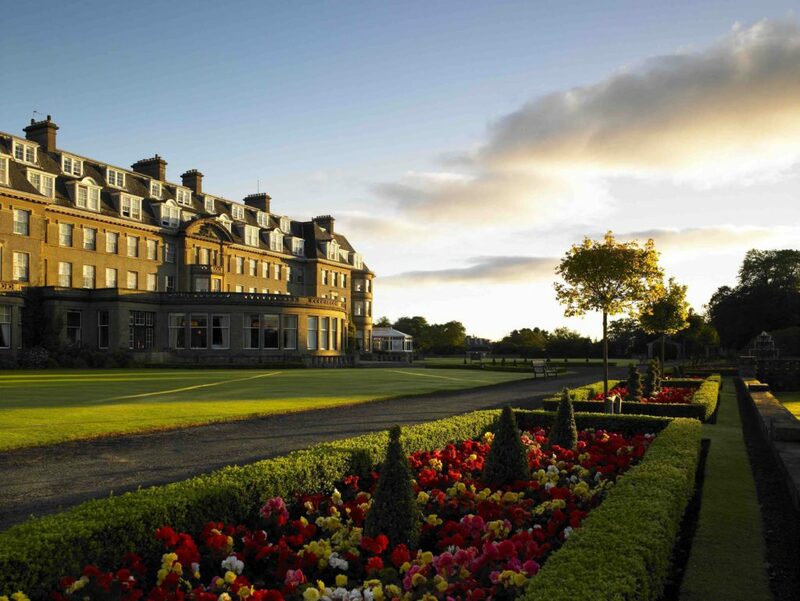 Gleneagles, an hour from Edinburgh and Glasgow, is the perfect “his and hers” getaway. New owners Ennismore envision the 850-acre Perthshire estate as a “glorious playground,” with three championship golf courses, including the PGA Centenary Course (host venue for the 2014 Ryder Cup), an ESPA spa, two pools, and outdoor pursuits ranging from horseback riding to archery, falconry, fishing, shooting, and tennis. Over the past two years, a rolling, multi-million-dollar program of investment has unveiled stunning new interiors. 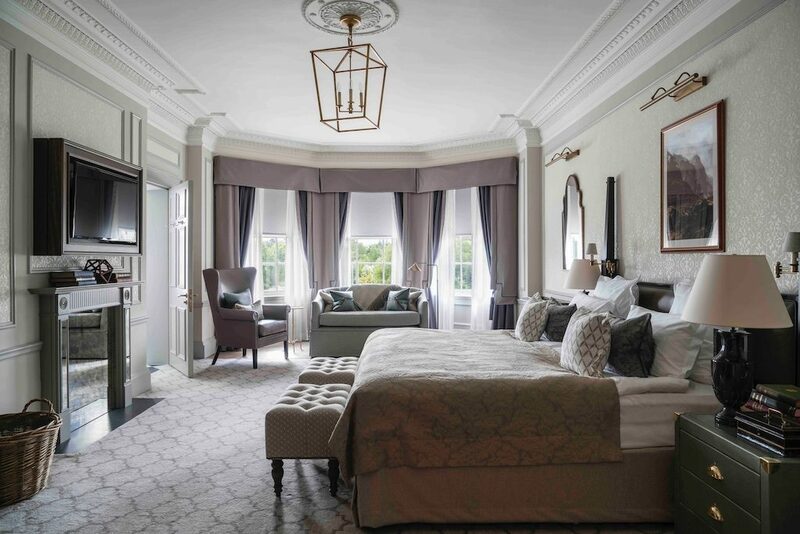 Many of the hotel’s 232 rooms have now been completely revamped, with décor ranging from masculine escapes draped in Houndstooth and Harris Tweed to more feminine cocoons swathed in taupe and grey, evocative of a misty Scottish morning. A newly renovated room at Gleneagles. Courtesy Gleneagles. 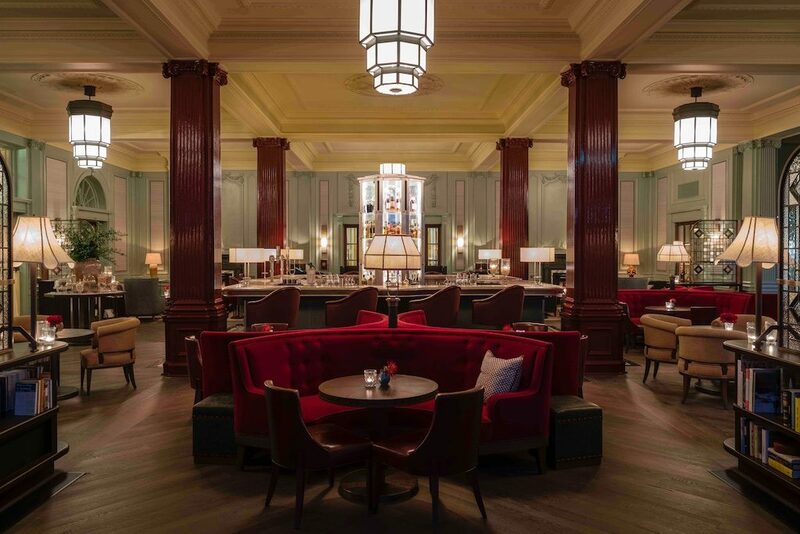 Redesigned public spaces include the Glendevon Room, offering afternoon tea and incomparable views of the countryside, as well as two bars that evoke 1920s-style glamor, hearkening back to Gleneagles’ opening in 1924. 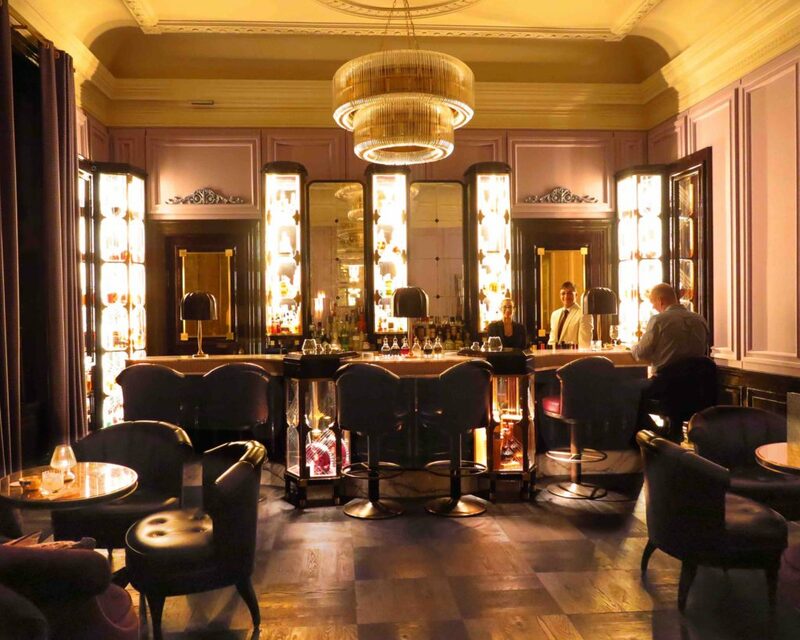 The American Bar, which food and beverage manager Craig Moffat describes as “a sultry adults’ bar,” encompasses a cozy cadre of rooms serving rare whiskies and indulgent cocktails. (Try the “Welcome Stranger,” featuring head bartender Lulu Fedi’s homemade Swedish punch, which more than lives up to its name). The American Bar at Gleneagles. © Amy Laughinghouse. 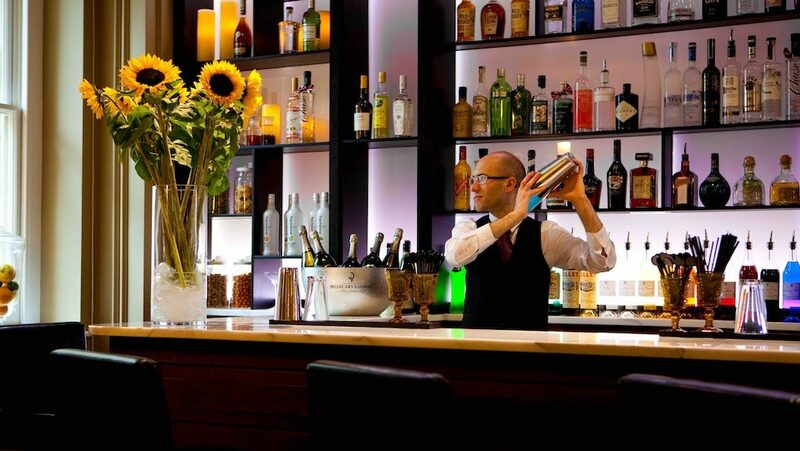 In the Century Bar, warmed by a blazing fireplace, choose from more than 120 single malts. Save space for a Pilar cocktail, combining Bacardi Carta Blanca rum, lime juice, mint, RinQuinQuin, pineapple syrup and soda, created by Gleneagles’ mixologist Joe Harper, a former UK bartending champion. The Century Bar. Courtesy Gleneagles. “Yes, I’d like to order the Steak Diane with the fire extinguisher on the side.” The Strathearn at Gleneagles. © Amy Laughinghouse. For sophisticated dining, book a table at the two Michelin-starred Andrew Fairlie restaurant. The smoked Scottish lobster alone is worth the trip. But don’t miss a sizzling evening at The Strathearn. 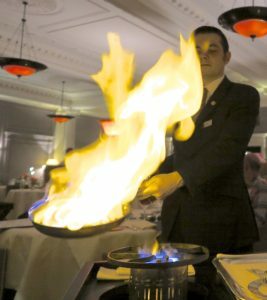 Here, “dinner theater” is taken to a whole new level, with some dishes, like the Steak Diane, cooked right at your table in a flaming saucepan. A short walk away, you’ll find more casual comfort in the renovated Dormy Clubhouse, with a bar serving local craft brews and small Scottish plates, a restaurant offering classics like fish and chips, and an al freso whisky bar centered around a circular fireplace. 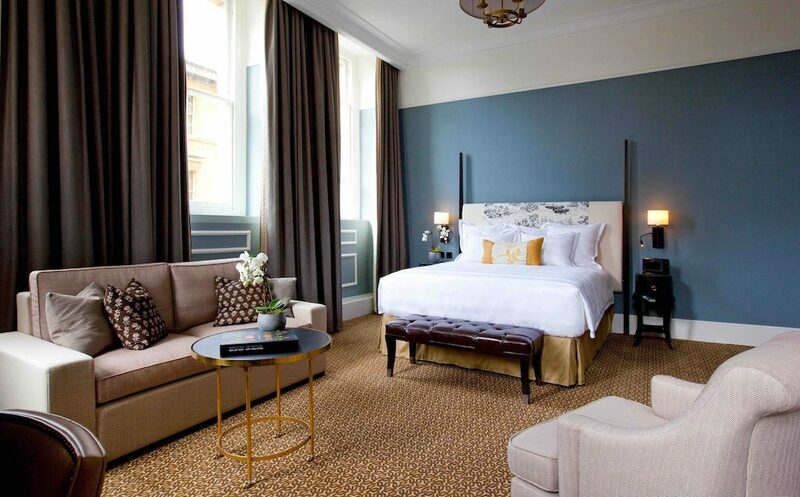 Just say “spaaaaah” when you check into The Gainsborough in Bath, the golden stone city immortalized in Jane Austen’s romances. Courtesy The Gainsborough Bath Spa. Housed within two historic 18th century buildings, this 99-room oasis is the only hotel in the UK with access to a natural thermal spring. Its 14,000-square-foot spa, topped by a four-story glass atrium, features eleven treatment rooms, saunas, a steam room, ice alcove, beauty salon, fitness center, aquatic body therapy, and—the piece de resistance–two pools fed by the mineral-rich Hetling Spring. For some hands-on together time, treat yourselves to one of the spa’s specially tailored couples’ treatments. The stress-busting Suite Tranquility for Two includes an array of products for you to apply while you soak in rejuvenating waters, followed by dual massages, while the Bespoke Couple’s Surrender incorporates a full body scrub, warm wrap and side-by-side hot stone massages. 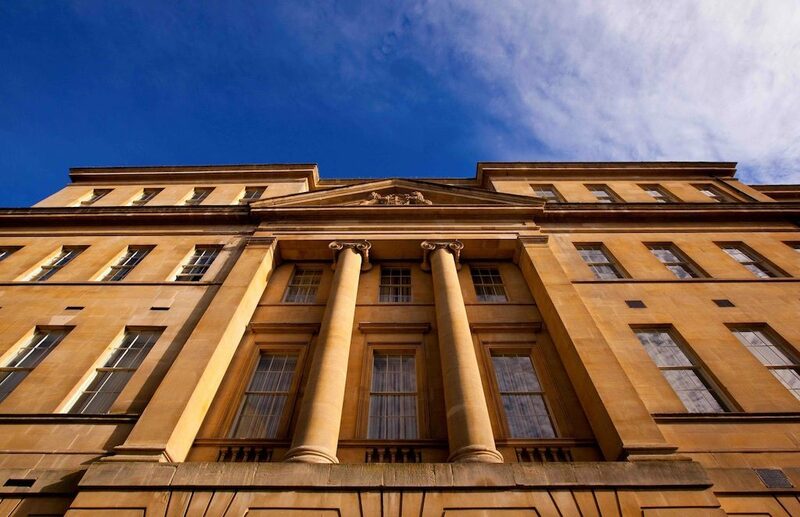 Book one of three Bath Spa accommodations, which are located directly above the spa and feature a roll-top bathtub that taps into the thermal spring, for ultimate luxury relaxation. A room at The Gainsborough. Courtesy The Gainsborough Bath Spa. If you can be bothered to change out of your bathrobe, The Gainsborough also features a restaurant headed by renowned German chef Johann Lafer, The Canvas Room for all-day dining and afternoon tea, and a buzzy bar. Venturing beyond the hotel walls, you’ll find Bath’s city streets largely unchanged since Austen’s day. 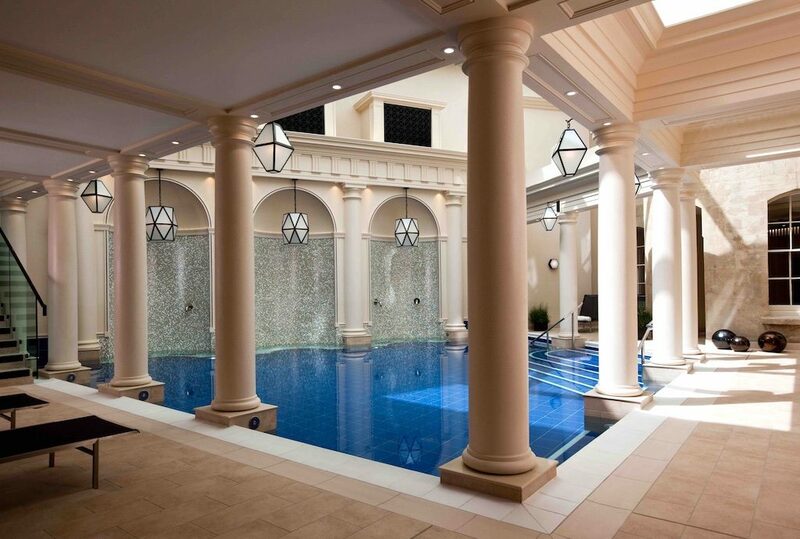 Sip the sulfuric waters at The Pump Room, take a walk down the aisle of the centuries-old abbey, and explore the fascinating excavations at the ancient Roman Baths. Venice is an otherworldly dreamscape, where black gondolas glide past sunset colored palazzos and tangled canals conspire to lose you in their web. Casanova’s old stomping grounds may be the world’s epicenter of seduction, so how do you top that? By escaping to a private Venetian isle, of course. 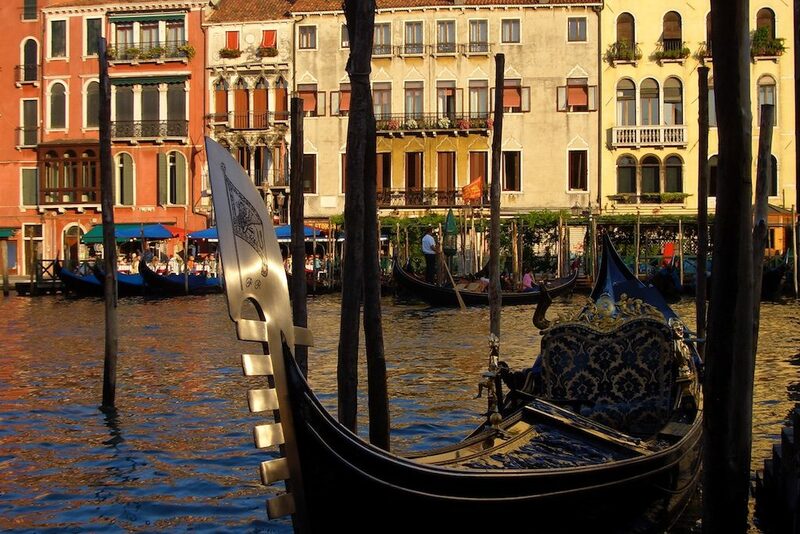 A gondola moored along the Grand Canal of Venice. © Amy Laughinghouse. 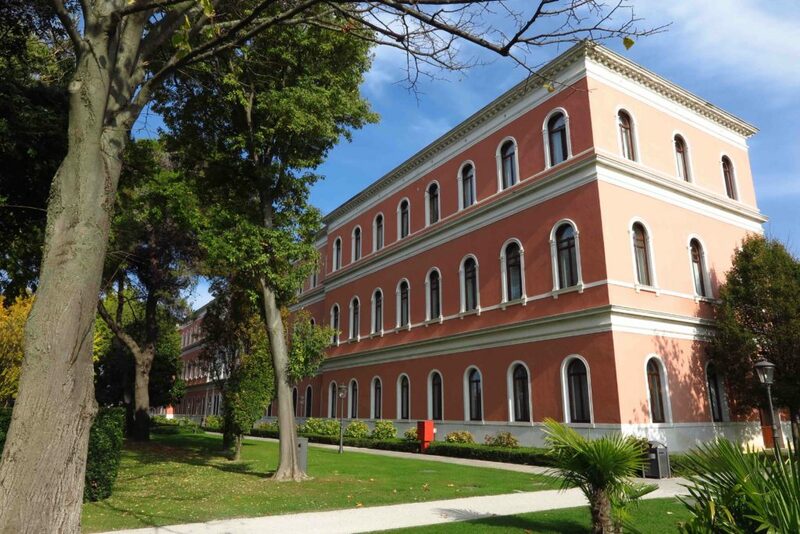 The 190-room San Clemente Palace Kempinski Hotel occupies a Renaissance-style erstwhile monastery on San Clemente Island, a 15-minute ride via a complimentary shuttle boat from Piazza San Marco. Picture vast lawns, a heated outdoor swimming pool (typically open May – September), running trails, tennis court, pitch and putt golf course, three restaurants, and an old stone church with foundations dating to the 12th century. After a day of dodging tourists in the city, it’s a gloriously welcome respite. San Clemente Palace Kempinski Venice. © Amy Laughinghouse. For an over-the-top indulgence, book the 2,045-square-foot San Clemente Suite. 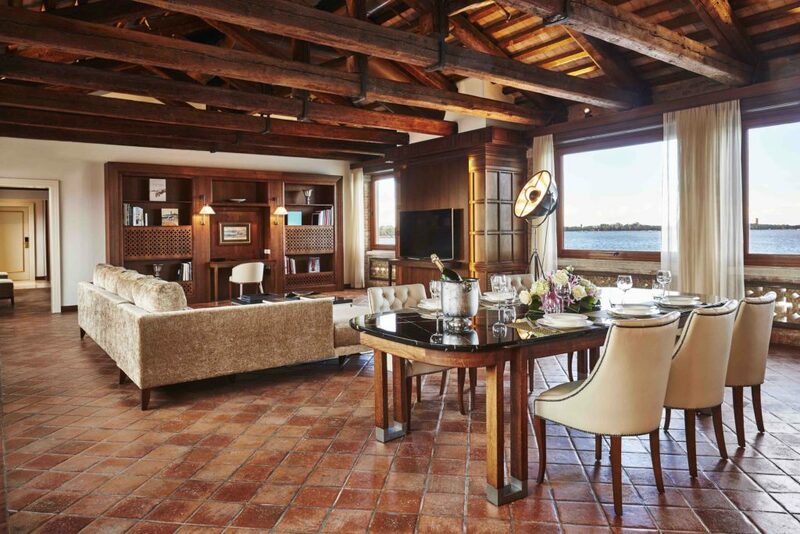 It proffers views across the lagoon towards Venice, as well as a spacious living-dining area and sleek, tailored furnishings juxtaposed against period stone, brick and woodwork. San Clemente Suite. 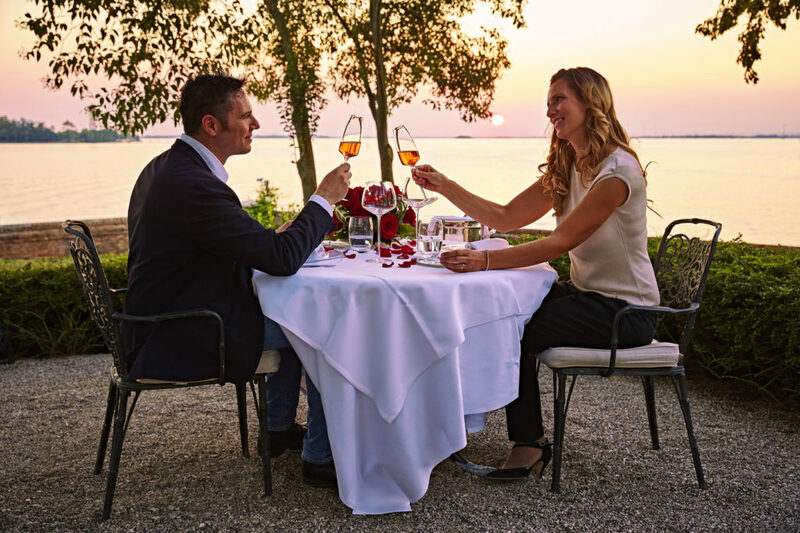 Courtesy San Clemente Palace Kempinski Venice. Sunset over Venice. © Amy Laughinghouse.